Salesforce is one of the most widely used CRM tools worldwide, and Simplilearn’s Salesforce Certification training in Sydney helps you manage and develop apps for it. You can master the core administrative features of CRM and the declarative abilities of the Force.com platform to build new applications. You will be able to tailor the system for your specific implementation by learning the customization and analytics skills. You can also expect to get excellent results in the two Salesforce exams. What are the objectives of the Salesforce certification course? What skills will you learn in this Salesforce course in Sydney? Who should take this Salesforce training in Sydney? What projects will I work on as part of the Salesforce certification course? A US-based placement agency wants to use Salesforce for implementing an end-to-end recruitment process. Candidates are required to form a team uses their practical knowledge gained through the course for tracking the jobs posted by recruiters as well as candidate responses. The team should further monitor the candidate information, work preferences, and experience details. To design an effective system, candidates must use the Salesforce concepts simultaneously including some automated business rules to ease the process. A college in Australia has a requirement of monitoring their students’ performance, and if a student has a failing score, then the instructor should be automatically alerted. The college wants to use the Lightning Process Builder for tracking students’ performance using Salesforce’s Lightning platform feature. The sole purpose of the Process Builder is that once the student information is created or updated, an alert message should reach the instructor’s record connected to each student. A UK-based mobile company requires software to expedite their customer service process. The software should have the facility of listing the customers who are facing troubles with their mobile phones. The types of issues should also be mentioned. Based on the above-recorded data, the company wishes to simplify the process for quicker customer service. You need to design an efficient system that enhances customer satisfaction using your Salesforce knowledge. A mobile company based out of US wishes to execute a process for tracking and discounting previous entries using Salesforce. The company wishes to use charts on the Salesforce mobile app to track different business entries that users/clients have posted. The details of the transaction need to be captured in the Salesforce system by leveraging the advantages of the Salesforce mobile platform. The company also wishes to monitor multiple business entries by charts so that it could be sent to field-level users on mobile. What is the average salary for a Salesforce Developer/Salesforce Administrator across the world? Which companies are hiring Salesforce Developer/Salesforce Administrator in Australia? The Salesforce certification exams DEV 402 and ADM 201 can be taken without any conditions to fulfill. One entire batch of Salesforce certification training should be attended. Achieve a minimum of 60% in one of the simulation tests after submitting one project. 85% of the course should be completed. Salesforce Certified Administrators are highly paid with an average salary ranging from $67,000 to $120,000 earned annually depending upon factors like skills, knowledge, and experience. According to the data provided by Glassdoor, job opportunities in Salesforce are rising at speed 1.3 times faster in comparison to similar roles. The number of jobs available for Salesforce professionals from July 2015 to June 2016 was more than 300,000. Aspirants need a passing percentage of 65% (answering 39 questions correctly) for the Salesforce exam. A total of 60 single/multiple choice questions are asked in the exam and the time duration is 90 minutes. 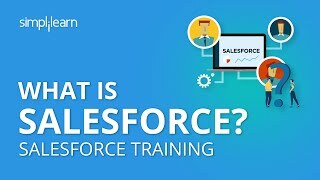 How long does it take to complete this Salesforce course? Mode 1 (Online Classroom Flexi Pass): It demands a time commitment of 7-8 weeks. Mode 2 (Self-paced): It demands a time commitment of 6-8 weeks. Online classroom flexi-pass - access to live online training in addition to pre-recorded videos. Recordings of each class can be accessed by the learners in case they miss any class. Leaners are provided 15 instructor-led sessions in the Flexi-Pass learning mode for 90 days. Training on SFAD (Salesforce AdMinistrator & Developer) is very well prepared. Demos are really helpful in strengthening the understanding of concepts. All doubts are clarified with good real examples. I've enjoyed the class! Thanks a lot! Also, I appreciate get certified team for the recordings given in time. Salesforce is known to be one of the renowned cloud-based customer relationship management (CRM) tools. Founded by Marc Benioff in March 1999, Salesforce is used for automation of sales, digital marketing activities, and customer service. It is headquartered in San Francisco. Salesforce helps the sales professionals pick up skills in reaching out to customers and solving their sales queries, and tracking their sales. It also helps companies manage their tasks and cases. Does Simplilearn offer assistance with the exam booking process? Yes, with Simplilearn’s assistance, you will be able to locate the nearest test center to appear for the Salesforce exams. What details can you share about the Salesforce Certification Exams? Simplilearn conducts live video streaming as a part of the Salesforce Live Virtual Classroom training. A Salesforce certified trainer conducts the classes and applicants can communicate with them during the sessions. The trainers have more than 10 years of relevant teaching experience, and they enrich the learning of the candidates during the class in the presence of a global audience. Recordings of each session are also provided in case the applicants miss any session. What tools do I need to attend the Salesforce training sessions in Sydney? Yes, Simplilearn’s Salesforce training in Sydney gives you the confidence to pass the salesforce exams in a single effort. With our course material and practical learning approach, learners can create a strong foundation of Salesforce concepts that is beneficial after the exam as well. Yes, applicants are allowed to cancel their enrollment if necessary. After deducting an amount equivalent to the administration fee, the remaining course fee will be returned to the candidate. For details, please refer our Refund Policy. Simplilearn appoints Salesforce Administrator and App Builder trainers who have high alumni rating. There is a tough selection process followed by the trainers involving profile screening, technical assessment, and training demonstration. The eligibility criteria for the instructors also involves a minimum of 15 years of relevant training experience. The instructors should be Salesforce certified as well. The faculty for the Salesforce certification course enriches the learning experience of the learners through interactive sessions. The instructors teach the concepts thoroughly and provide teaching assistance during business hours. Learners can experience round the clock support right from class onboarding to project completion and job guidance. Simplilearn intends to provide complete support to its customer regarding all of their issues with the Salesforce course. The support team is available 24/7 for the participants via calls, chat, or email. We also provide a community forum which comes with lifetime access, and learners can get any kind of support on this platform. Learners can find the Contact Us form and the Live Chat link option on the right of Simplilearn website. Both options can be used to talk to the support team and get details regarding the Salesforce training program. Is the exam fee included in the Salesforce course fee? No, Simplilearn does not take the exam fee along with the Salesforce certification course fee. Payment needs to be made on the Salesforce website for taking the exam.